A French horn is not only a challenging instrument to play but also difficult to understand when looking for your next purchase. Before actually finding the best French horns to buy for your needs, you could spend endless hours looking through hundreds of options and variations. Well here’s an opportunity that will make this process a lot easier for you. 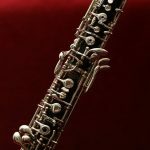 This article will help you select the best brand, French horn model and technical variations to suit your needs. 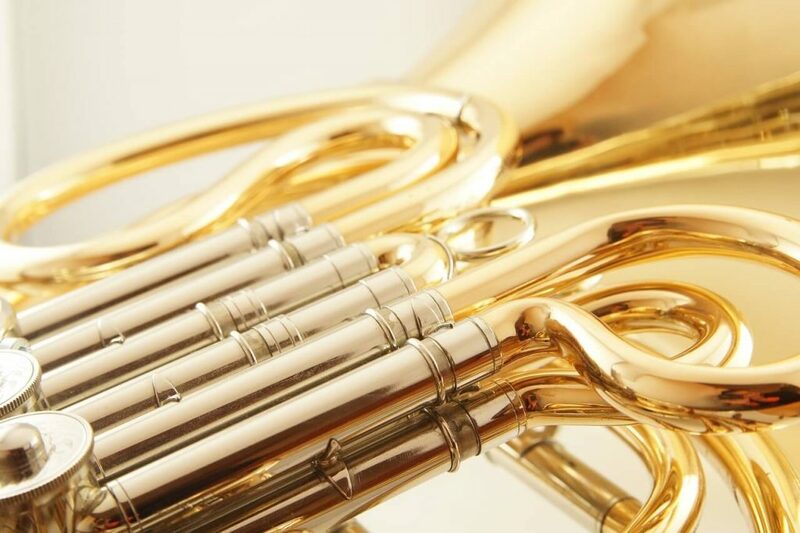 Read through our top tips for purchasers and French horn reviews to give you all you need to understand before clicking buy. Is a French Horn Easy to Play? In the 17th century the French horn was made in Germany. It was a rounded tube with a mouthpiece used for arranging and organizing the hunt. In the 1800s valves were added to allow more tonal variations and to make the instrument easier to play. 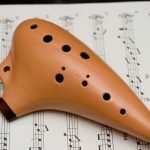 Whereas before the valves were added the player had to dip and raise the pitch with their lips alone, the valves allowed the player more accuracy in tone and easier ability to switch between notes. The French horn now is many pieces of tubing coiled together with valves. The main tubing could stretch to over 4 meters long if uncoiled and a further 2 meters with the additional tubes. All the tubing is made from metal, usually brass. The length of the tubing is often linked with pitch; however, the French horn has more tubing than the trombone. The tubing space is much thinner meaning that the French horn player has further to blow the sound but will still make higher pitched notes than most other brass instruments. The main job of a French horn is as an orchestral wind instrument. The French horn often must rise above the 60-100 players of an orchestra and stand out over them. It is a clear distinctive sounding instrument that allows this to happen with ease. 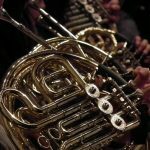 The best French horn brands to buy will offer two types of sound to the player with ease: a softer timbre to blend with the orchestra and a clearer distinctive timbre that sounds out over the other instruments. French horns have a reputation for being difficult to play due to the nature of the tubing and how it effects pitches. They are also based on hunting instruments, which pointed backwards to warn the hunters of opportunities. This means that they are not built for orchestral play as their bells point in the wrong direction. A French horn player has a difficult job to do. In the lower region of the French horn’s harmonics (notes that can be played just by the squeezing and relaxing of the lips) the notes play softly without much projection. In the higher range, from G upwards, the notes are utilised much more often in orchestral pieces. The problem is that the harmonics are very close together. This makes the notes difficult to hit perfectly and the player accountable for the perfect amount of lip squeezing to hit the exact note they are trying to hit. Whilst a French horn player can usually train themselves to do this. 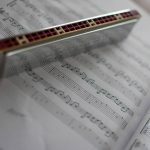 It is not as easy to do this with as much confidence as for instance a flute player who puts a new set of fingers down for each tone that is next to the last tone. Like other brass instruments, the French horn is played using pressed lips. Make the letter M with your mouth then press your lips together. 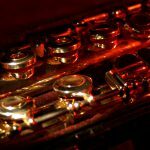 Push air through your pressed lips to create a buzz, this buzz begins the sound production on the French horn at the rim of the mouthpiece. 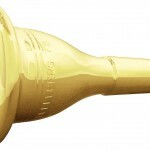 Each of the notes can be produced by a combination of this buzzing and pushing valves. 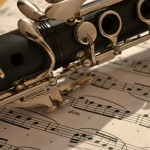 The higher the note the more your lips must be squeezed together and the lower the note the more the lips must be relaxed when creating the buzzing at the mouthpiece. It is best to know what level you are playing at and what type of horn you want: single or double. You also need to consider the valve types as this can have some cost implications and repair implications. Make a visit to your local music supplier to play a range of models and give you a feel for what you are looking for. 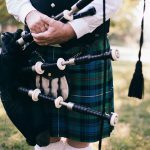 Remember you can often find great deals for these same instruments online so use the opportunity to get to know the brands and models before using our reviews to help you to decide. The best French horn for beginners is a single horn in F. This is because they offer an ease of play and the ability to master the basics before moving onto a double French horn as a professional. The best French horns for students depend on their needs as a player. Whilst some might need the ease and simplicity of a single horn, more proficient students might want to invest earlier in their future as a professional player to avoid further upgrading down the line. If a French horn comes without valves then it is a natural horn, which means it has only harmonics available to play. Unlike other brass instruments the French horn valves are played with the left hand. Most horns come with lever operated rotary valves, which are for ease of the player. Some, however, come with piston valves, which can be more difficult to move through quickly. 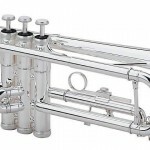 There is also the option of three valve and four valve horns to consider. Usually the valves help denote whether the horn is a double or single horn. Single horns mostly have three and double horns have four. It is important to check as some single horns may utilise a fourth valve for tuning purposes. Most French horns are made from nickel silver or brass. This can add to the playability of the instrument. It is necessary to try a few different options out to make the decision which metal is best for your needs as each one coupled with weight and thickness adds to the unique tone, projection and sound that you can produce from it. 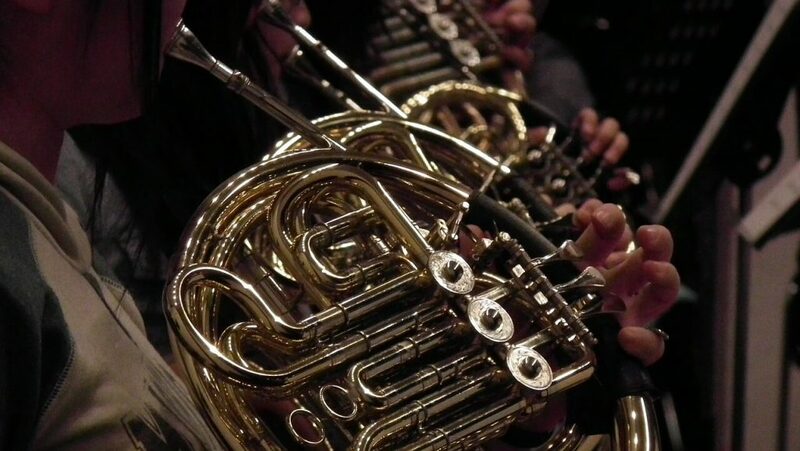 Whilst the single French horn is great for a beginner player, the double allows the orchestral professional to play at a better level because it allows the switch between two keys Bb and F, each one offering quality to different ranges of notes. 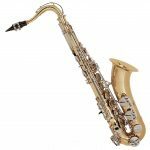 Therefore, allowing the player to play low notes with deep tone projection as well as higher notes with great sound quality. Check out our double French horn reviews to see if your needs are met by these instruments. It can be hard with so many options to decipher which of the French horns available are good ones. We have compiled a list of the good French horn brands to look out for. 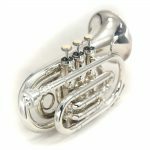 These brands offer quality, reputation and well-thought out manufacturing so choosing them can allow you to feel secure that you are getting what you are paying for in your next French horn. A quality instrument with a wide range of excellent, well-manufactured instruments. Everybody recognizes Yamaha as a good quality brand. It has been established for years and works alongside teachers, students and professionals to develop the best French horn options. A Chinese brand offering a range of French horns to suit the needs of many players. Mendini has a few French horns that are well-manufactured. The brand is not as well-known as some others but still offers satisfaction to its customers. A well-known German company, founded in 1884, Schiller have offered many musicians the opportunity to play good quality instruments. The French horns are no exception. They allow for professional customizations and work hard to meet the customers’ needs. 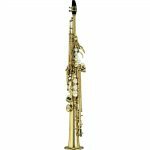 Review: This well-known brand has manufactured a good professional double horn with some excellent features to aid the player. Great for big American sounds, symphonic playing and projection. This will boost any soloist across the ensemble. Great for soloists over the ensemble. Difficult for a beginner to play. 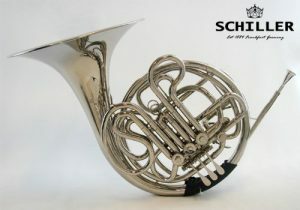 This would be a great French horn for a soloist or professional looking for great intonation and projection. Review: This single horn is a good quality beginner instrument. It offers a full sound and sports 3 valves. The bell comes as a detachable option making storage and transport easier. This adds to this French horn’s durability because it is less likely to get damaged at these times. Detachable bell for easy transportation and storage. 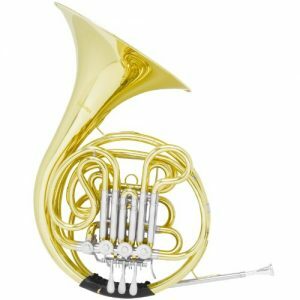 This would be a great French horn for a beginner looking for a cheaper option. Review: This Mendini French horn offers everything a student needs. This horn is a single horn and has three valves. The projection and sound quality are good. This would suit a player, who has some basics still to embed before moving on to a double horn. 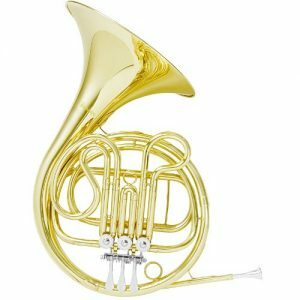 This would be a great French horn for a student looking to move forwards with their technical skills. Review: the best intermediate French horn, this Mendini MFH 30 will not let you down. The instrument allows you to project over the ensemble with the intonation that can lack in the single horns. 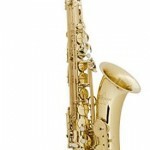 It will move you forwards with your playing becoming more proficient in the two horn, 4-valve playing. It is an affordable intermediate option. Double horn allowing for movement towards professional playing. Great intonation across the range. Good sound quality and projection. More expensive than the MFH 20. Would need upgrading for the professional player. 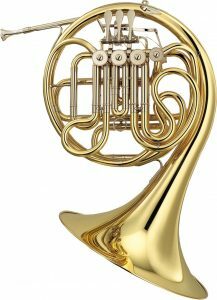 This would be a great French horn for a player who has mastered the basics and wishes to add that extra finesse to their performance. Review: This is one of the best French horns for high school students. It has been designed with the player in mind: a tapered mouthpiece, wrap for holding and smooth airflow all adding to the comfort of the player. Yamaha offers a great French horn here, however, it is on the expensive side. The comfort of the design is very well thought-out. Rich and warm tonal quality. This would be a great French horn for an intermediate player who has a large budget. 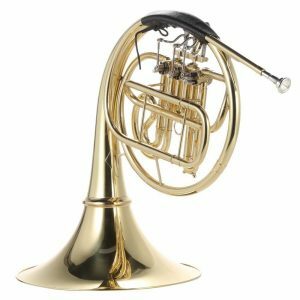 Review: This Yamaha professional French horn was built to suit the needs of any professional player. It has incredible accuracy for pitch and offers great comfort to the player. It can be customized with a detachable bell and choice of metal. It also offers separate Bb tuning. Incredible accuracy for pitching and intonation. Comfortable design for the player. 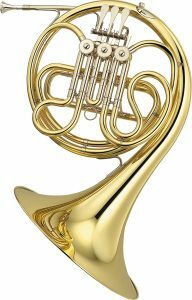 This would be a great French horn for a professional player looking for comfort and great sound quality. 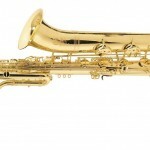 Review: This yellow brass Yamaha offers a bright sound that rings out. The bell is attached, and it is a double horn with 4 valves. It is a comfortable play and a lead taper offers quality intonation. The fourth valve is easy to adjust, and this adds to the player’s comfort. Adjustable fourth valve for comfort. Bright sound and good projection. More expensive than most intermediate options. 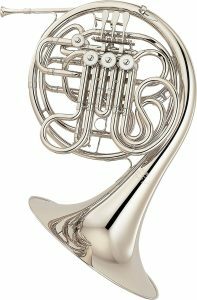 This would be a great French horn for an intermediate player with some extra budget to spend on their comfort when playing. It would also suit a soloist looking to project across the ensemble with great intonation. When considering your purchase options, you can find that details and advertising make it difficult to choose. Use our buyers’ guide advice to help you decide on the best French horn for you. Select our chosen brands and models from the reviews above and make your next purchase.